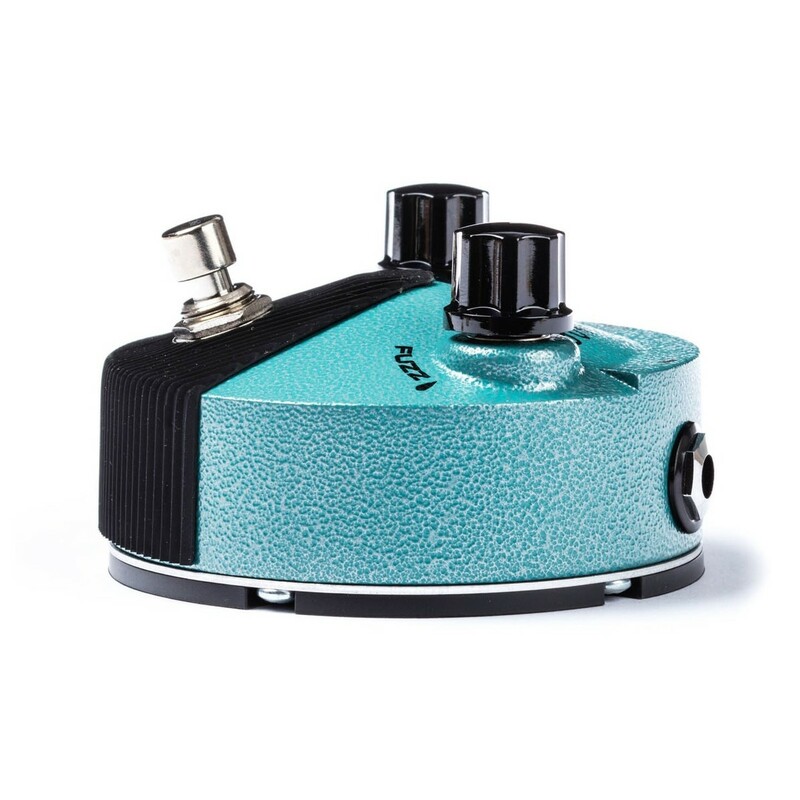 The Jim Dunlop Fuzz Face Mini Hendrix Turquoise features the same circuit as the original JHF1 pedal, in a smaller housing. 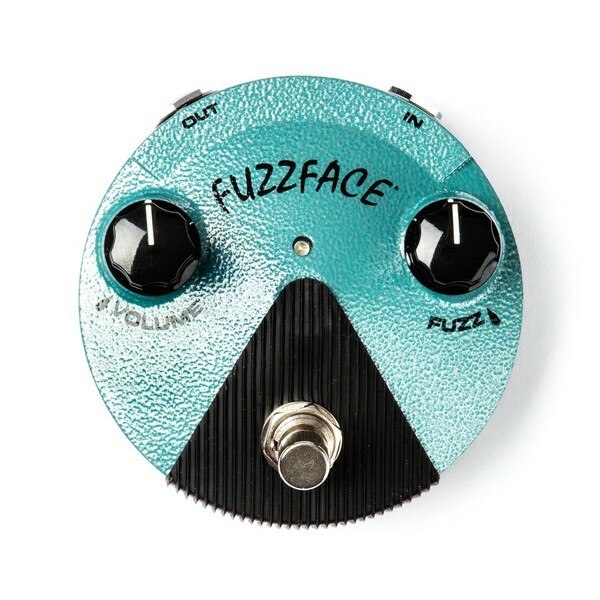 Players can achieve that same iconic Fuzz Face tone that was made famous by Jimi Hendrix. 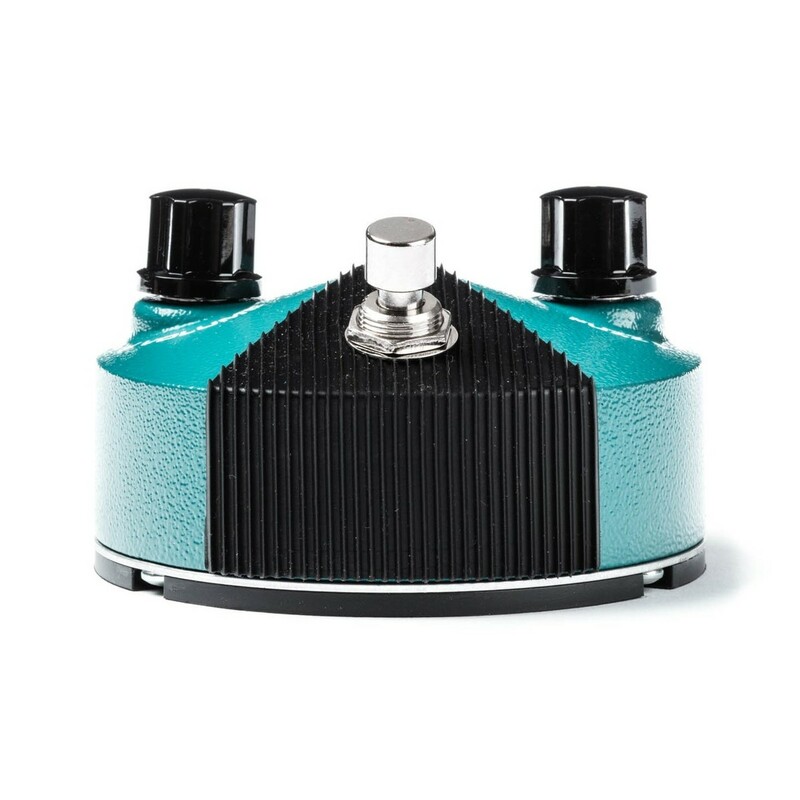 Unlike the original, the compact version features modern appointments including a bright status LED, an AC power jack and a convenient battery door, as well as true bypass switching for a true sound. 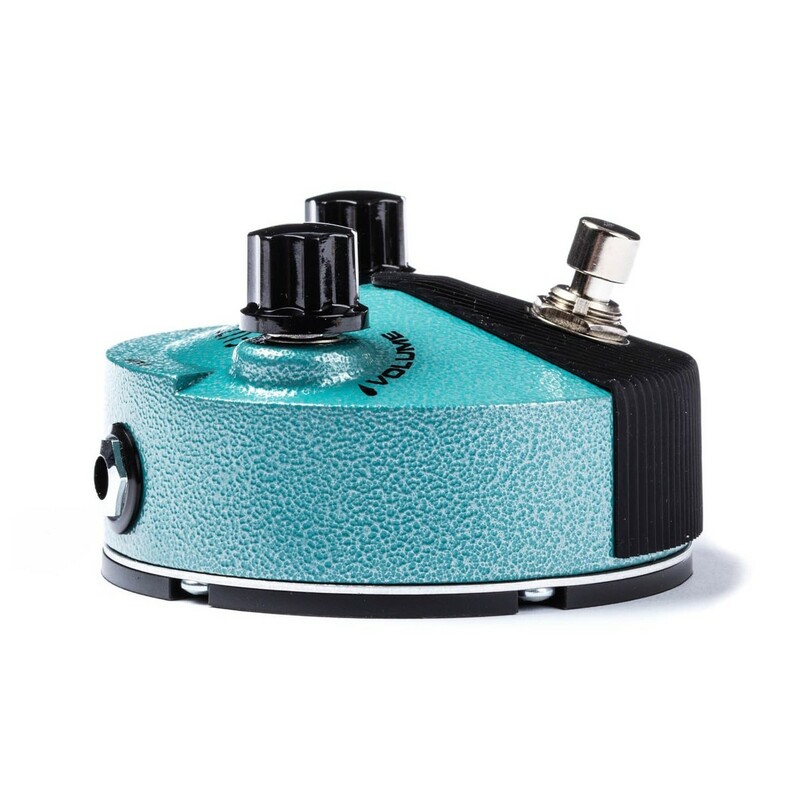 Housed in a distinctive metal chassis, this easy-to-use pedal is the perfect addition to any player wanting to recreate that iconic tone. Inspired by the previous JHF1 Hendrix Fuzz pedal, the Fuzz Face Mini Hendrix delivers those legendary fuzz face tones in a compact unit. 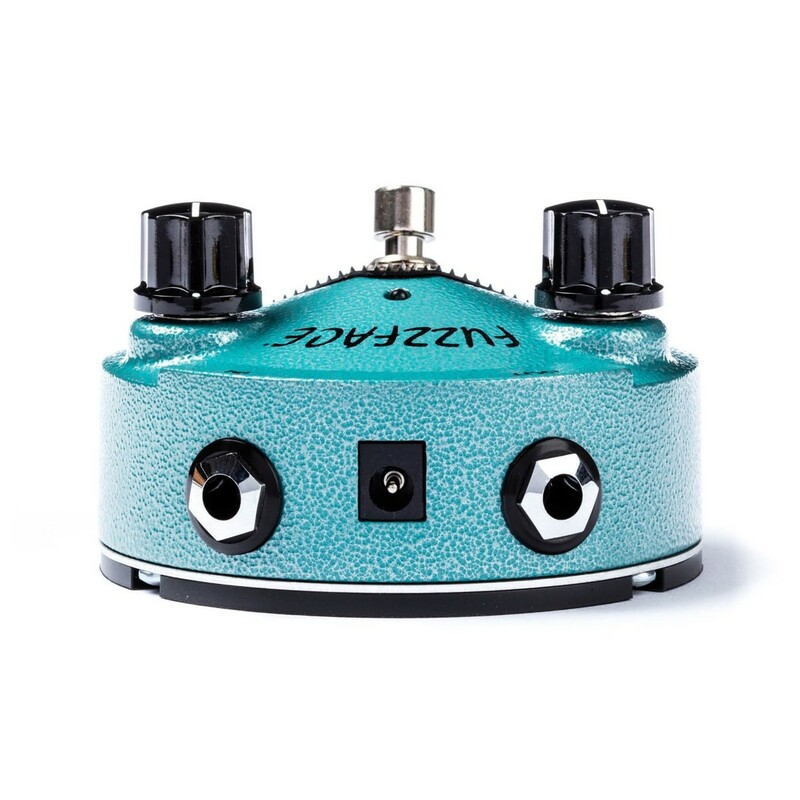 Players can once again achieve those thick, smooth fuzz tones that were made famous by Jimi Hendrix. This new improved version offers a reduced footprint, and includes bright status LED, an AC power jack and a convenient battery door. 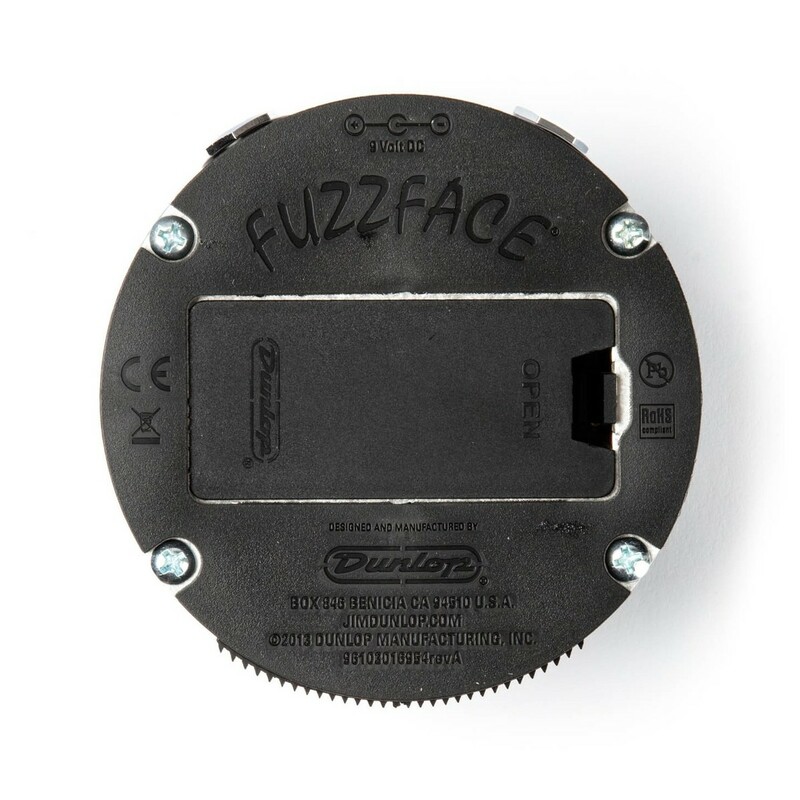 For a clean sound, the Fuzz Face Mini is equipped with True Bypass switching when not in use.